Use pages 3-9 to create a book. 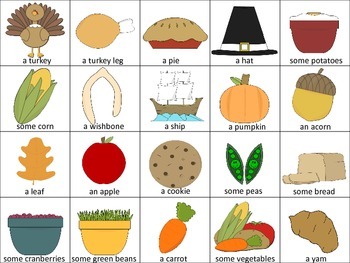 Have the student name the objects on page 9 before gluing one object to each story page. 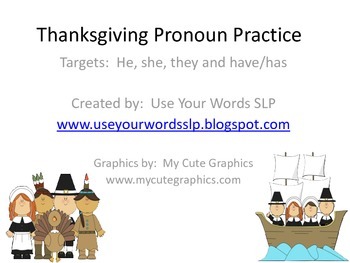 Have the student tell you what each pilgrim or Indian has (ex: He has a _____, She has a ____, They have a ________). You can also target have/has or his/her/their by asking, “Who has it?” Have the student take the completed book home for homework.